If this is the first time you are taking a trip with an RV and you want something small and easy to drive than don’t think twice! 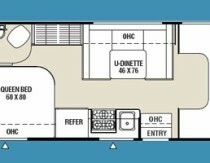 This is the perfect RV for you. 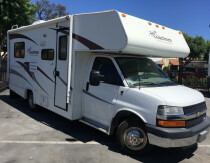 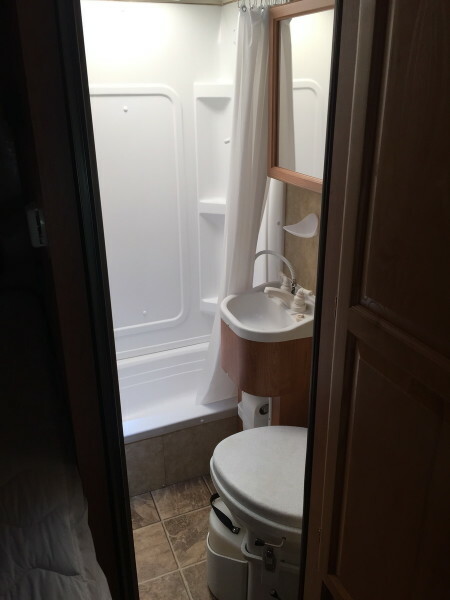 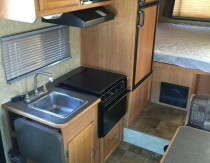 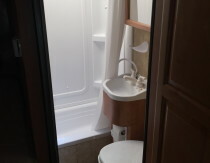 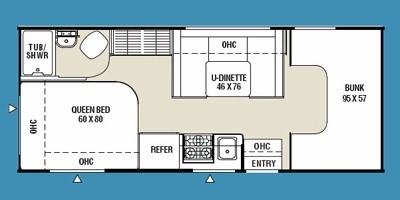 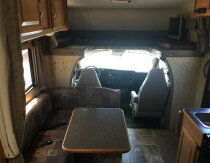 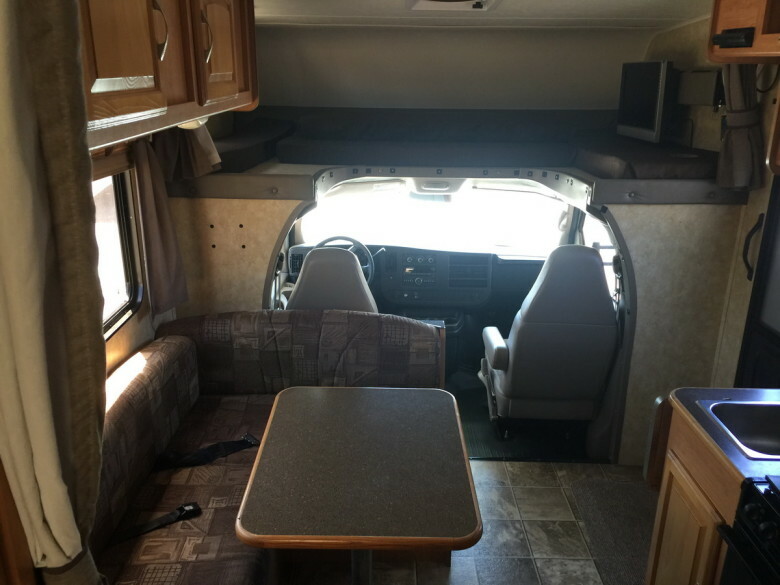 This motor home has 2 queen beds, one is on the rear corner of the RV and the other queen bed is located over the cab, then you have the dinette area that turns into a double size bed. 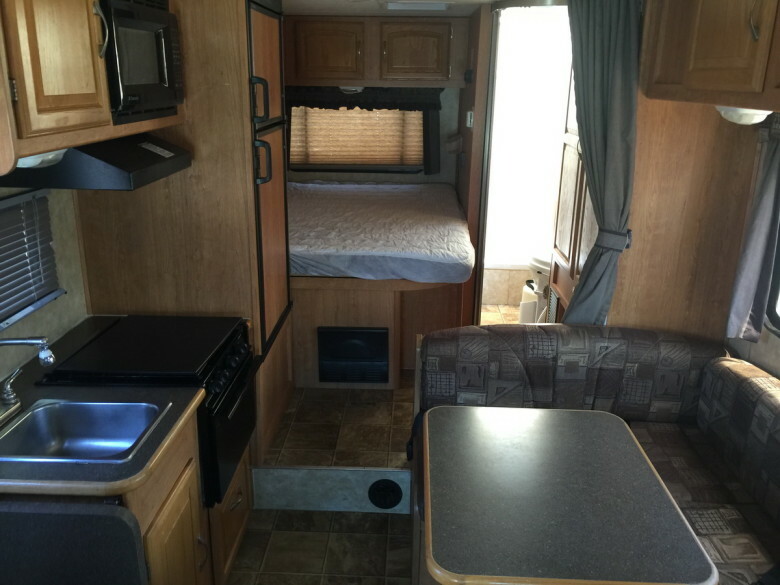 This beautiful motor home has a flat screen T.V and a surround entertainment system, it comes with a full bathroom and full kitchen. 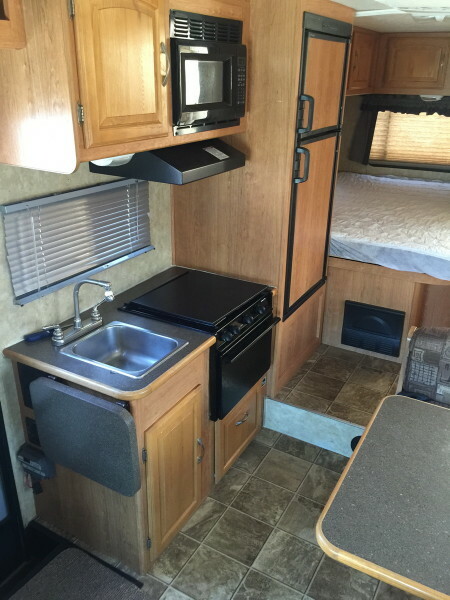 The exterior has a big storage bin to load up all your equipment and you also have an outdoor awning so you and your family can enjoy a nice BBQ in the outdoors. 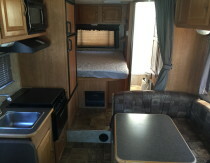 Don’t wait any longer book it today before its too late!